The seventh letter of the Hebrew alphabet is zayin. The original shape is variously described as a sword, a weapon, an axe or here as a hoe. The sense of "derives" from the Aramaic meaning of zayin זין as "arms". Klein says that meaning is probably borrowed from the Avestic zaena. According to Klein the root זון - to feed - is not related. He claims it derives from the Akkadian zananu - "to feed". This is the root of the words mazon מזון - food and tezuna תזונה - nutrition. Steinberg, however, points out that there are many examples in Semitic languages where the same root refers to both war and food: זן, לחם, טרף , צידה (we've discussed the lechem connection here.) If we say that the letter zayin was originally a hoe, then we can see how a tool like that could be used (or reformed to use) as a tool of war. The root זין also can mean "to adorn, ornament". Klein writes that it is borrowed from the Arabic zana, zayyana, meaning "he adorned, decorated". The root זנה - "to be a harlot" is also not connected (more on that root here). Most scholars - on the basis of Rav Hai Gaon's derivation - connect it with זן (= kind). Others suggest to see in it a loan word from Gk. mazonoios ( = a wooden trencher for serving barley). Greek mazonomos is compounded of maza (= barley meal) and nomos, from the stem nemaen (= to deal out, attribute). 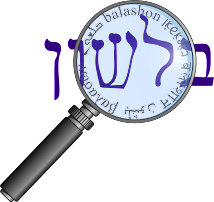 The letter zayin alternates with tzade and samech: עלז/עלץ/עלס and with dalet and tet: זבח/דבח/טבח.